The contest is declared unrated. For Technocup, results of this round will be counted for elimination. Also, we plan to hold one more (the fourth) elimination round to compensate this failure. Stay tuned for updates. We apologize for the situation, hope you enjoyed the problems. If you are upset about today round, I understand you. Please, downvote this blog instead of the official announcement. The coordinator, writers and tester did a great job making the round. But technical issues erased their effort. The chain of technical issues leaded to so bad work of the website. This week our server with Polygon system had broken and Mail.Ru quckly replaced it with another one. I forgot to reconfigure Polygon on the new server and it leaded to 502 during the contest. Also today one Codeforces server stopped to respond and I do not know the reason yet (it is first time issue with this server). Right now I feel myself very upset and thinking about the way to change an approach to have enough time to setup, monitor and develop the system. Codeforces Round 440 will start on October 15 (Sunday), 08:05 (UTC). It will be based on Technocup 2018 Elimination Round 2. So, if you are a Russian-speaking high-school student, please take part in the Technocup 2018. Codeforces Round 440 is open and rated for everyone. Wish you good luck and bugless code. I'd like to invite you to Codeforces Round #436 (Div. 2). It'll be held on Monday, September 25 on 10:35 UTC and as usual Div. 1 participants can join out of competition. Note that round starts in the unusual time! This round is held on the tasks of the school stage All-Russian Olympiad of Informatics 2017/2018 year in city Saratov. They were prepared by Perforator, MikeMirzayanov and fcspartakm. Many thanks to the testers: sdya и BledDest, and coordinators KAN and gritukan. It will be a little unusual round — you will be given six problems and two hours to solve them. I apologize to the participants of the round. It happened that I accidentally had run improper script and it rebooted the judging machines. It is very insulting, because most problems were proposed by me and I hoped to host an interesting competition for you. A lot of effort was spent on preparation. Apparently, the mistake of just such a human character happened for the first time. I really hope not to repeat it in the future. Want problems? We have some! Codeforces Round 434 will start on September 17 (Sunday), 13:05 (UTC). It will be based on Technocup 2018 Elimination Round 1. So, if you are a Russian-speaking high-school student, please take part in the Technocup 2018. 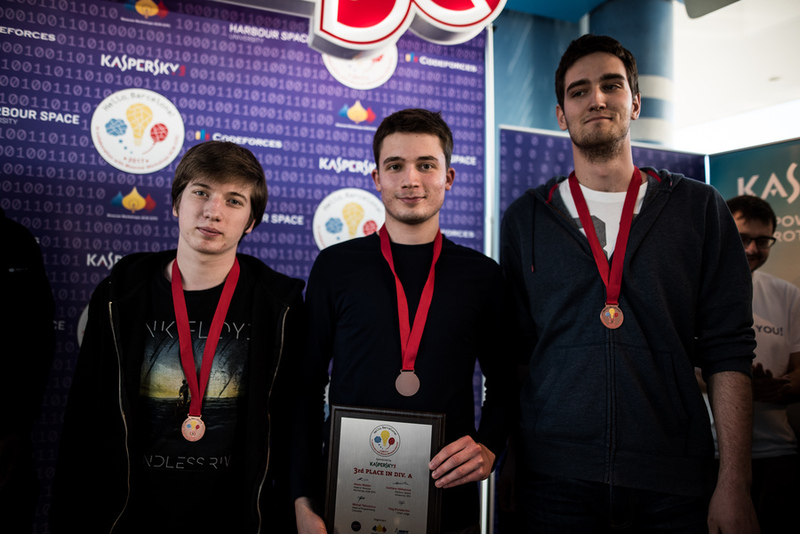 Many thanks to KAN, 0n25, Ne0n25, ifsmirnov, irkstepanov and white2302 for their help in round preparation. Some problem ideas are mine. I hope you will like problems. There will be 6 problems in div. 2 and 5 problems in div. 1. Больше контестов хороших и разных! Вдохновившись рассказами MikhailRubinchik об успехах проведения квалификационных этапов в Восточном четвертьфинале NEERC, в этом году и Южный (саратовский) четвертьфинал объявляет о проведении квалификационного этапа. В октябре состоится 20-й юбилейный четвертьфинал в Саратове. Надеемся, что проводя квалификацию, мы сумеем дать возможность большему количеству команд попробовать себя в соревнованиях по программированию. Для широкой аудитории 17-го сентября будет проведено онлайн-зеркало на Codeforces. Приглашаются все! В этом году (сезон 2017-2018) Четвертьфинал ICPC Южного подрегиона NEERC будет содержать дополнительный квалификационный этап. Дата проведения — 17 сентября 2017 г. До 11 сентября необходимо зарегистрировать команду на сайте https://icpc.sgu.ru. Приглашаются команды студентов/магистрантов/аспирантов из Астраханской, Белгородской, Волгоградской, Воронежской, Курской, Липецкой, Нижегородской, Пензенской, Ростовской, Самарской, Саратовской, Тамбовской, Ульяновской областей, Краснодарского, Ставропольского краёв, республик Адыгея, Дагестан, Кабардино-Балкария, Калмыкия, Карачаево-Черкесия, Чечня, Марий Эл, Мордовия, Северная Осетия, Татарстан, Чувашия. Команды должны состоять из трёх студентов/магистрантов/аспирантов (ниже смотрите формальные требования), представляющих один вуз. Участие в квалификационном этапе бесплатное. Оргвзнос не предусмотрен. Этап будет одновременно проведен на нескольких площадках в ряде городов Южного подрегиона NEERC. Продолжительность квалификационного этапа 4 часа, язык условий — русский. Будет доступен перевод условий на английский язык. Саратовский государственный университет в первой половине августа проводит международную летнюю студенческую школу по программированию. Продолжительность школы — десять дней, школа пройдет с 31-го июля по 10-е августа 2017 года. К участию приглашаются как команды из двух-трех человек, так и индивидуальные участники. Школа пройдет в живописном месте, на одной из саратовских баз отдыха на берегу Волги. Участники будут расселены в уютных номерах по 2-4 человека и обеспечены трехразовым питанием. На территории базы имеется собственный пляж и спортивные площадки. В программе школы запланировано 10 рабочих дней, включающих ежедневные пятичасовые тренировки, разборы задач, дорешивания. Будет прочитана серия лекций. Учебная программа рассчитана на студентов, которые хотят достичь значительных успехов на соревнованиях по программированию. ACM-ICPC World Finals 2017 will begin on May 24, 2017 at 15:00 (UTC). This event is the main event of the year in the world of sports programming! 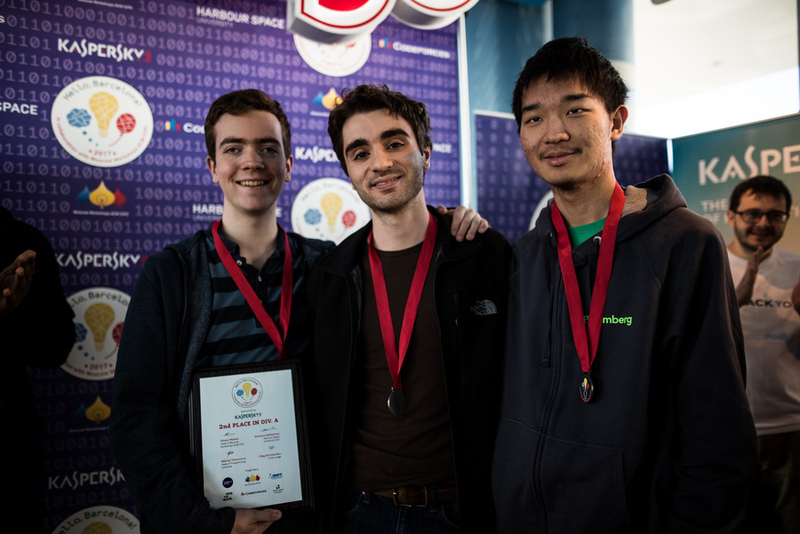 This year ICPC Regional participation included 46,381 of the finest students and faculty in computing disciplines from 2,948 universities in 103 countries on six continents. 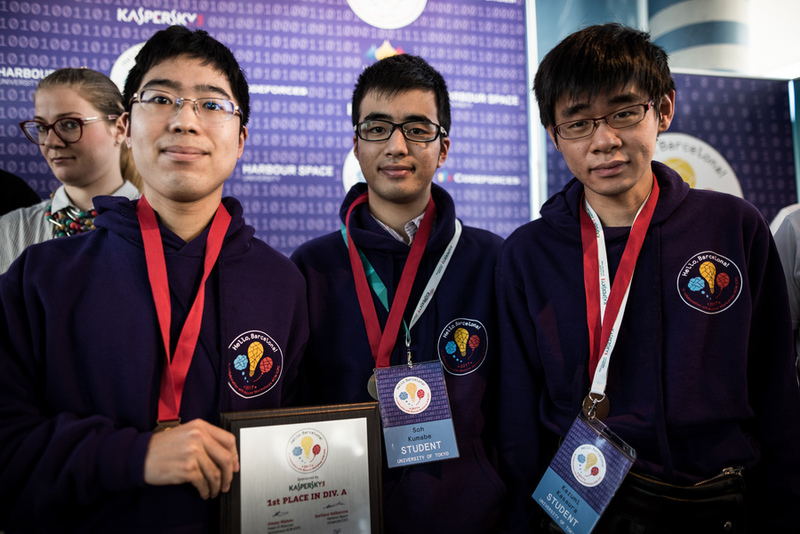 A record 50,145 students and 5,073 coaches competed in ICPC and ICPC-assisted competitions this year, setting new records in participation. Codeforces wishes the teams to show a vivid and interesting contest contest. We wish to find beautiful solutions, write without bugs and enjoy many accepted problems! The ACM-ICPC World Finals 2017 event is running now. Tomorrow will be the main contest. During these days the directorate of ACM-ICPC shared some news. Let me remind you that this season (2016-2017) is last, when the general sponsor of the championship is IBM. 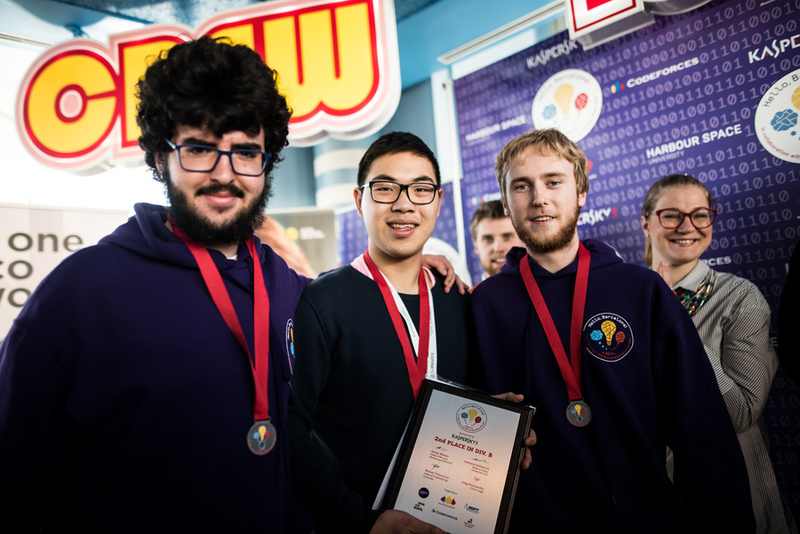 For 20 years, IBM has supported ACM-ICPC, investing millions of dollars annually. Thank you, IBM! 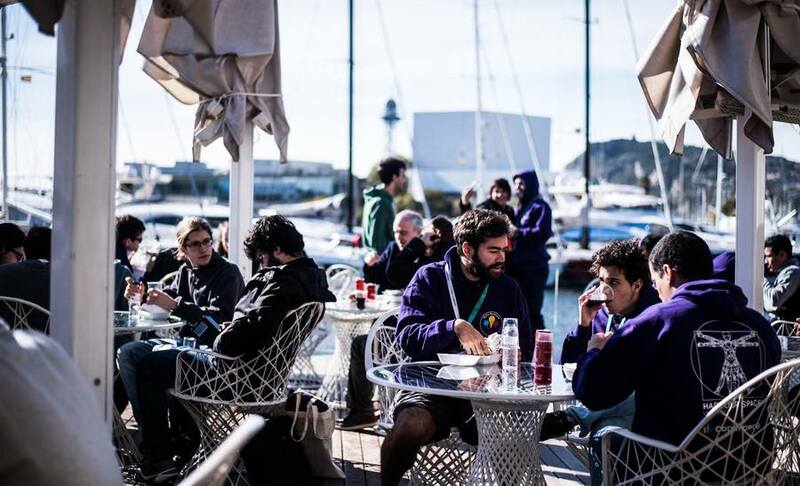 At the moment, the model is actively being worked out, when there will be not one general sponsor, but there will be a fund in which several companies will participate. At the opening ceremony the Sport Programming Foundation was mentioned. I believe this Foundation will be the main one for the future seasons of the championship. However, these are not yet close plans. 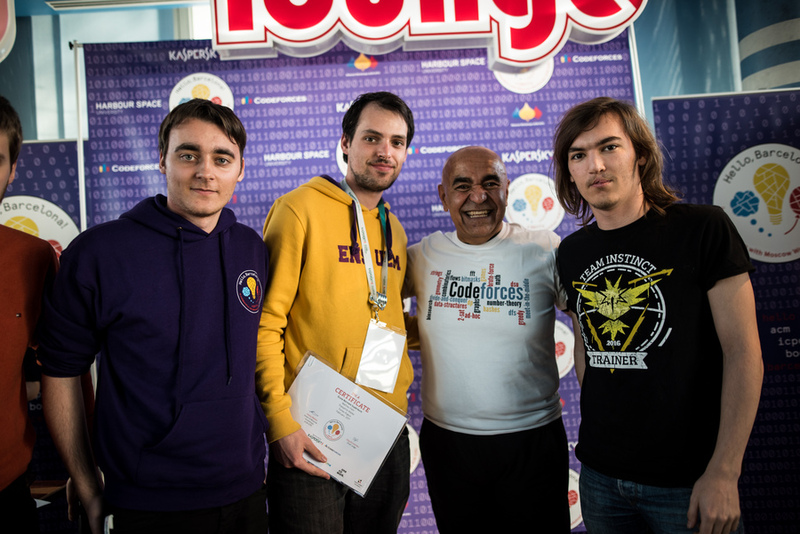 It was announced that the next three years the general sponsor of ACM-ICPC will be JetBrains! This is amazing news. 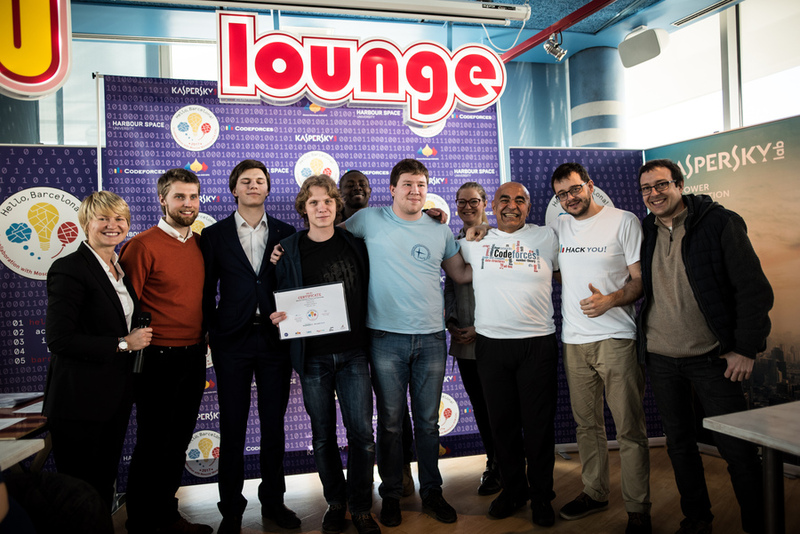 Particularly pleased that this is actually a Russian company, and its executive director Maxim Shafirov coached the team of St. Petersburg State University, which became the world champion in 2000! 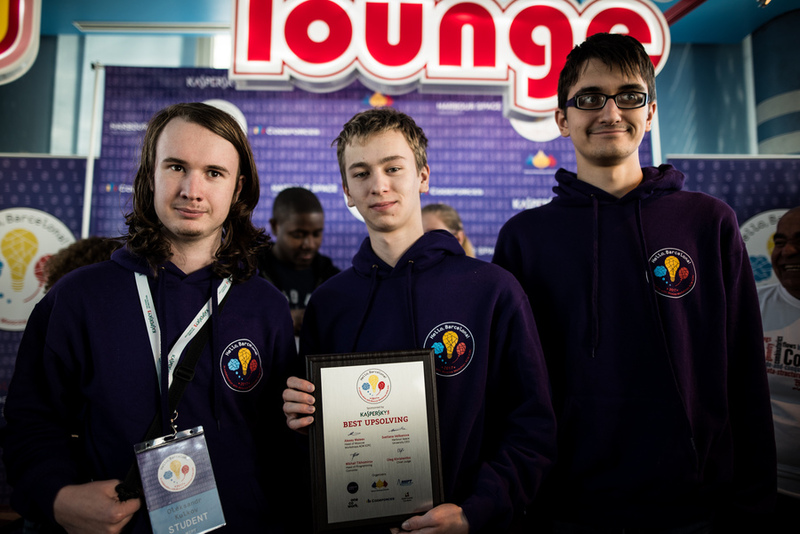 I'm sure that the wonderful development environment from JetBrains in the future finals of the championship will await us as a pleasant bonus. There is a reform of the qualifying stages of the championship. For example, now Rissian+ regional contest (NEERC) is not part of the European Regionals, but is a separate league of the Northern Eurasia. In general, eight leagues (read, super-regions) were singled out: Europe, Northern Eurasia, North America, Latin and South America, two leagues in Asia, Africa and probably Australia and Oceania. 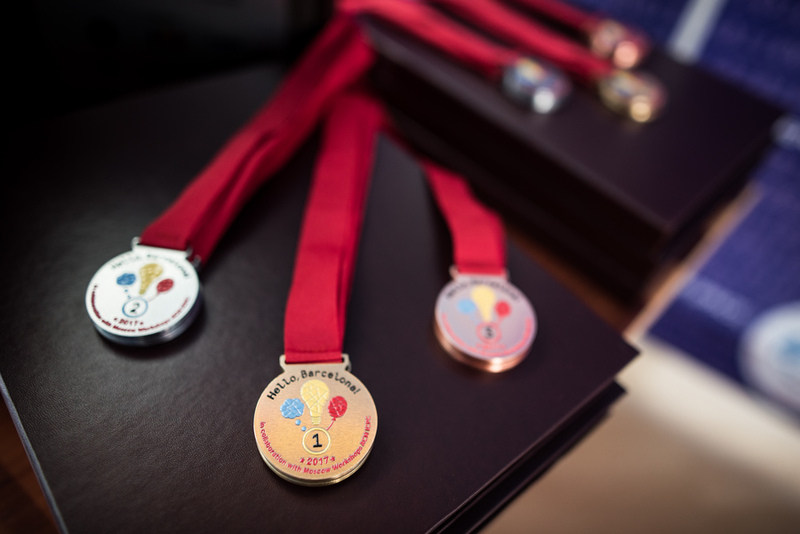 It is planned that each league will have its own separate finals with medals and the top 12 teams from each league will receive a ticket to the World Finals. While these are still distant plans, but the first steps have already been taken. Discusses its quota on the number of participations in the league finals (3 times). 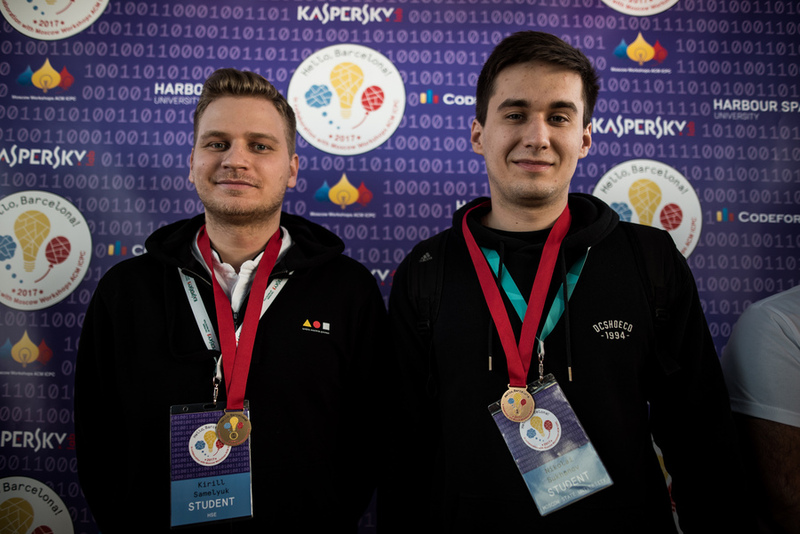 Unfortunately, this year a significant part of the teams did not receive a visa at all (5 teams) and a dozen more could not arrive completely because of the visa problems of one of the participants. Saratov State University, apparently, is among them. It was announced the decision to invite to the next Wold Finals without any selections and quota accounting for 5 teams that could not come this year. In addition, it is proposed to give a +1 year to participate (without taking into account any other requirements) to all teams that could not arrive completely. 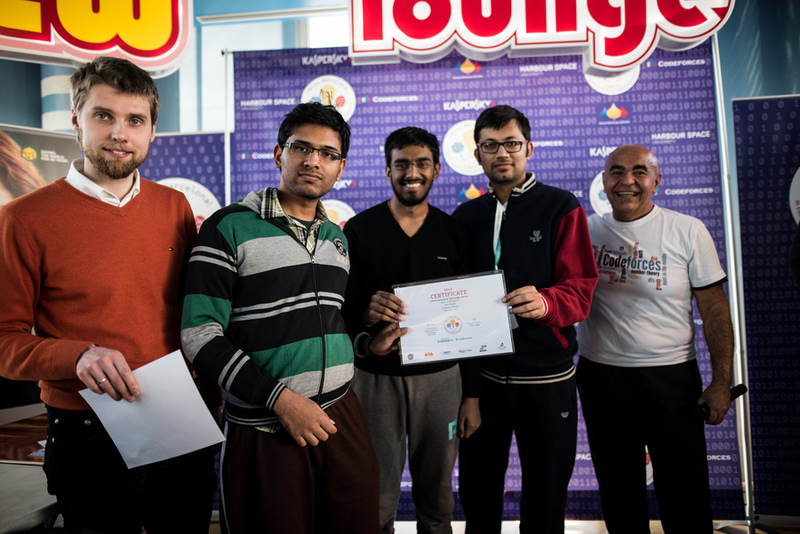 The next Finals will be held in Beijing, and a year later — in Kochi (India). 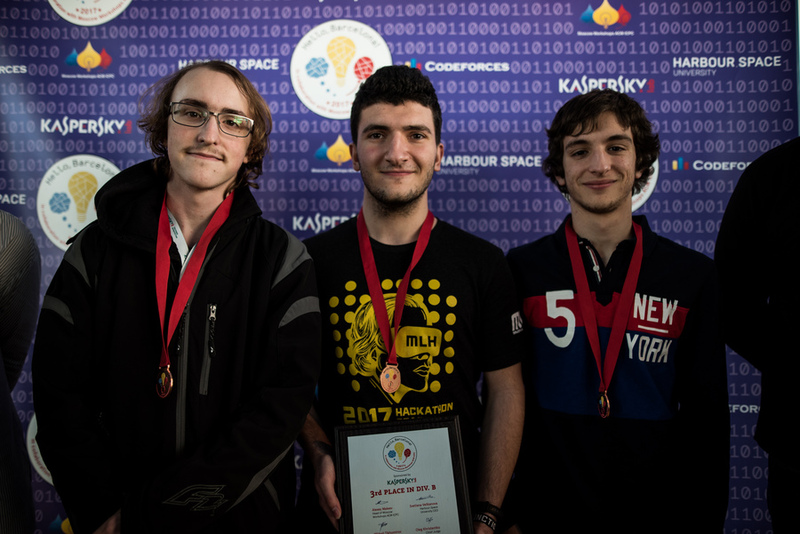 ACM-ICPC World Finals 2017: Want problems laptop stickers? We have some! I'm happy to visit Rapid City and meet so many bright contestants here! I have Codeforces laptop stickers with me and I'll be glad to give them as small gifts to participants of the World Finals. You can find me (I do not have many stickers, be quick) to get gifts. My friend collects coins, so I'll be glad to receive a coin from your country as a souvenir. See you. And good luck on the contest! UPD Still have few stickers. You have a chance! I'd like to invite you to join in Playrix Codescapes Cup for the both divisions that will be held on May 11 at 18:35 MSK. The round is rated and open for everyone. Problems are prepared by KAN, Al.Cash, MikeMirzayanov and fcspartakm. Huge thanks to Playrix company for making this round possible. Hope you enjoy the round! 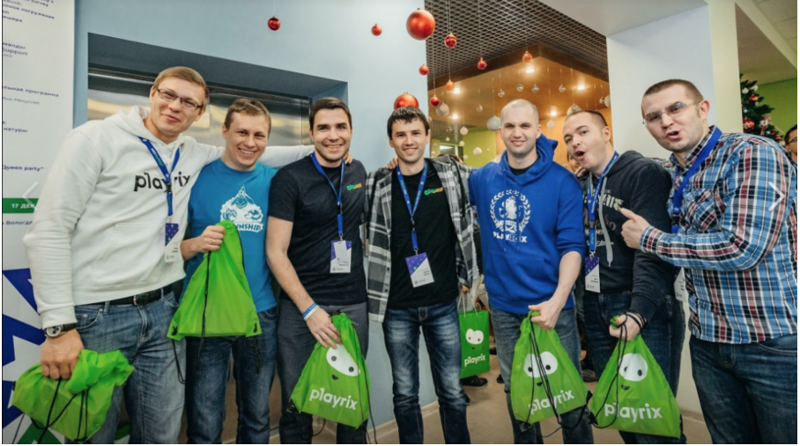 Playrix is one of the leading mobile games development companies in the world. Its distributed team consists of 450 professionals from around the world. The company has released three successful mobile free-to-play games – Township, Fishdom and Gardenscapes. All of the projects have consistently been among the Top 50 Grossing Apps for iOS and Google Play since their release.In 2016, Facebook named Gardenscapes game of the year. Company is looking for Russian-speaking C++ developers. The problem analysis is published. Are you missing something new? I have something to please you. Regularly I host some events — Olympiads, onsites, and eventually, examinations and tests for students. On the one hand, Codeforces already offers a unique functionality — groups, the integration with Polygon, the possibility of choosing tasks from the archive and so on. But it doesn’t enough! Nothing extra will be displayed — the site contains only the information about competitions and blogs of your group and nothing else. All you need to display — is an HTTP access to 212.193.33.6. If you host the official contest, important coaching or examination — block all the rest of the Internet, except for this IP-address. Today such groups can only contain private competitions and trainings. For example, you can make your mashup and set it up as you need. Maybe, later we will make something with this restriction, but for now — it is like this. To be sure that extra people will not click on your link http://yourgroupdomain.contest.codeforces.com, you can block the access to it by IP. Specify the exact IP or subnet address. For example, 188.93.56.35;212.193.32.0/19. Probably, when you host the event, only the English (or only Russian) interface is enough for the participant. Use this setting to select the desired behavior. You can change the site header at http://yourgroupdomain.contest.codeforces.com, so that there will be not the familiar logo of Codeforces, but the logo or name of your event. 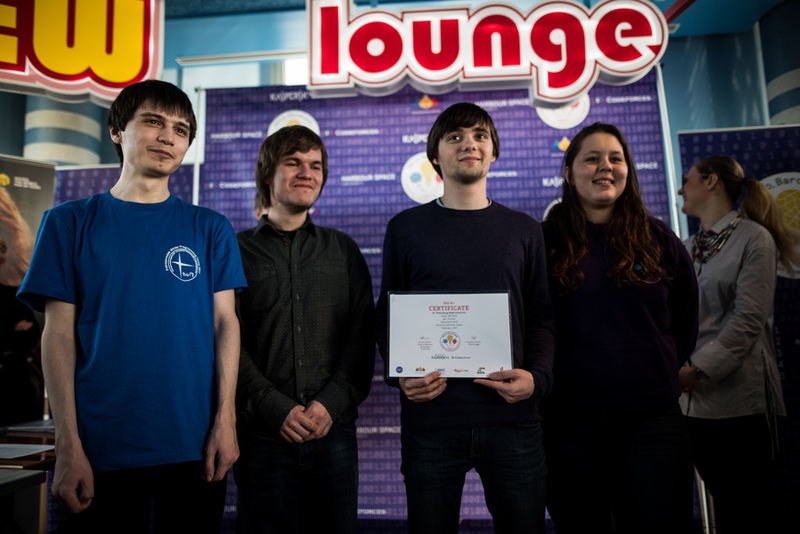 For example, when I host the inter-university Olympiad in Saratov, I set it to <h3>Interuniversity Olympiad on programming 2017 (Saratov)</h3>. 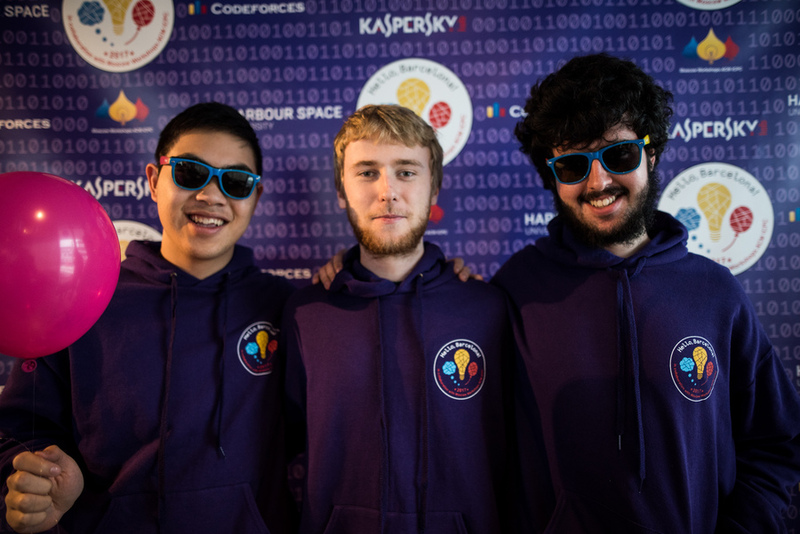 It is very likely that if you hold an Olympiad or something similar, participants may not have the Codeforces account, the information about participants comes from a separate registration, and you want to see usual names in the interface, such as ‘John Doe, Berliandsky SU, 3 Course’, rather than the participant’s handle. Yes, you can feel like Peter Korotkevich, log on http://example.contest.codeforces.com, and use the login u01 and the password 371111. You have a possibility to set all as you wish. For example, to maximally block the access to the group (only by the domain, do not allow extra users), make the closed’ group, and the policy of registering of its membersonly by invitation`. In this case, only domain users (see the point above) and users invited to the group will be able to access the domain address. Allow practice — whether it is possible to solve problems after the official termination in an informal mode of upsolving. Allow virtual participation — whether it is possible to participate virtually after the official termination (or whenever you want, if there is no start time). Allow out of competition participation — it is reserved for out of competition participation, while only the users of the domain can be registered as out of competition (for the right users, add the symbol 'o' after the contest id, for example “213380o | u01 | 371111 | Petr Korotkevich”). Allow self-registration — whether it is possible for participant to make a self-registration (if no — register him). Allow unregistered users to observe the competition — whether it is possible for the participant of the group who is not registered to a contest enter the contest and see the problems, status, standings and other details. Turn on common status — whether it is possible for participants to see the information about other participants’ submissions, or the information about their own attempts is the only available. The duration of freezing and unfreeze time. Be careful during transfer of the contest — unfreeze time must be changed independently. The policy for showing tests. Here are possible options: "do not show at all", "show failed tests of own solutions", "show all tests completely". The policy of showing other people's attempts. Here are possible options: "do not show at all", "show to participants who solved the problem," "show to everyone." April 26, 15:35 (UTC) the second Wild Card Round of VK Cup 2017 will take place. Participants are invited to achieve progress in solving an unusual problem. VK Cup teams which were advanced to the Round 2 (and didn't advance to the Round 3) will take part in VK Cup 2017 - Wild Card Round 2 officially. In addition, this round will be open to the public for unofficial participation for everybody. Registration will be open for the whole round duration. 11 марта в 15:00 начнётся второй квалификационный раунд чемпионата VK Cup 2017! Правила этого раунда будут совпадать с правилами Квалификации 1. К участию приглашаются команды, не участвовавшие в первой квалификации или набравшие в ней менее 2950 баллов. Те, кто успешно справился с первой квалификацией, могут принять участие вне конкурса, при этом их результаты никак не будут влиять на проход остальных команд. Разумеется, от команд, участвующих вне конкурса, также требуется соблюдение всех правил Чемпионата. 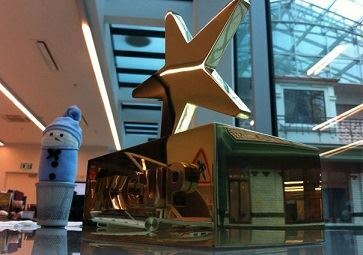 4 марта в 15:00 начнется первый квалификационный раунд чемпионата VK Cup 2017! Раунд продлится 24 часа, такая продолжительность выбрана для того, чтобы все нашли себе удобное время для участия. Квалификационный раунд, как и все предстоящие раунды, требует отдельной регистрации. Регистрация уже открыта и будет открыта на протяжении всего раунда. Мы с радостью сообщаем вам, что компания ВКонтакте совместно с площадкой Codeforces вновь проводит чемпионат VK Cup. 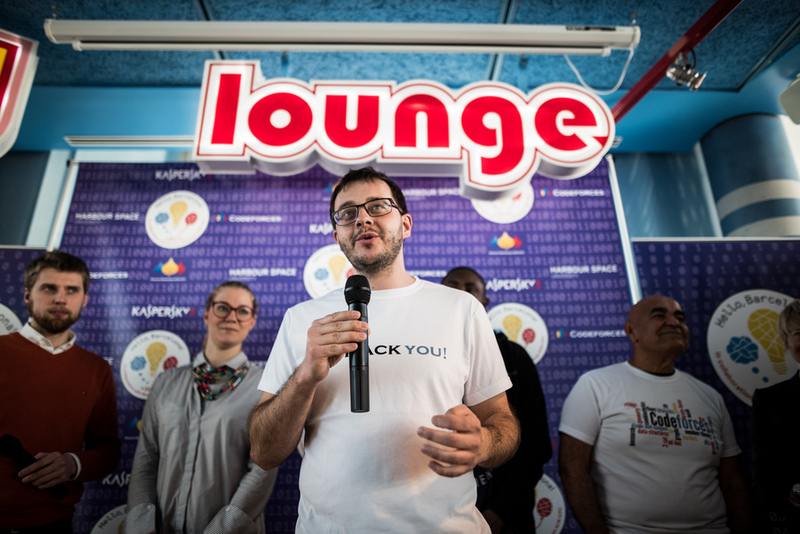 К участию в VK Cup 2017 допускаются команды до двух человек, так как практика парного программирования широко распространена во всем мире, в том числе и ВКонтакте. За призы и звание победителя приглашается побороться русскоязычным молодым специалистам, студентам, школьникам и просто любителям алгоритмов и программирования. Прямо сейчас по всей России проходит первый тур регионального этапа. Очень надеюсь, что участники смогли собраться, не сажают досадные баги, а результаты их порадуют! Предлагаю обсудить здесь задачи и решения, а так же наверняка в комментариях появится ссылка на опрос по результатам. Обязательно добавляйтесь, это интересно! Как я понимаю, большинство регионов сегодня использует Яндекс.Контест. Надеюсь, чуть позже появятся и ссылки на официальные результаты. UPD 1: Спасибо, The.Fusy. Опубликована суммарная таблица результатов по многим регионам. Пока в ней только первый тур, но скоро появится и второй. UPD 2: Второй тур завершен. Теперь можно отдыхать и немного переживать за квоты на заключительный этап. I'm pleased to announce the first championship hosted on the Codeforces platform. Welcome 8VC Venture Cup 2017! 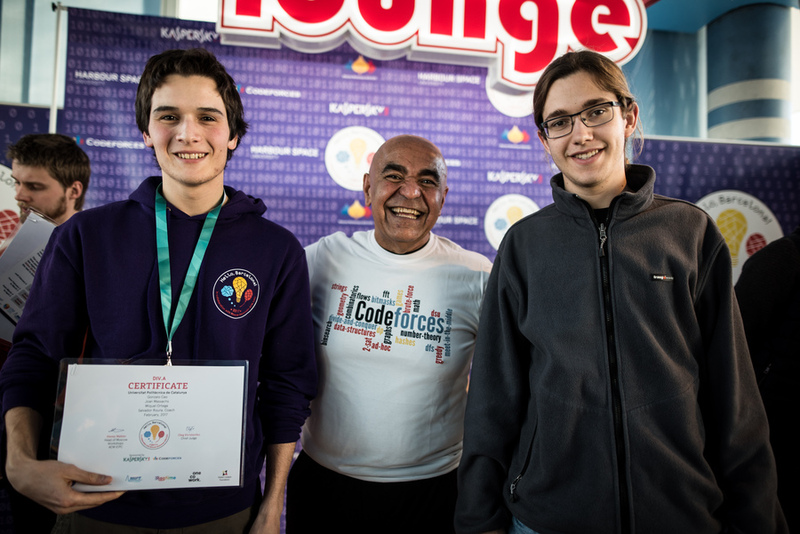 8VC will be hosting a coding championship on Codeforces. The championship will begin on January 15 and take place in 2 rounds. 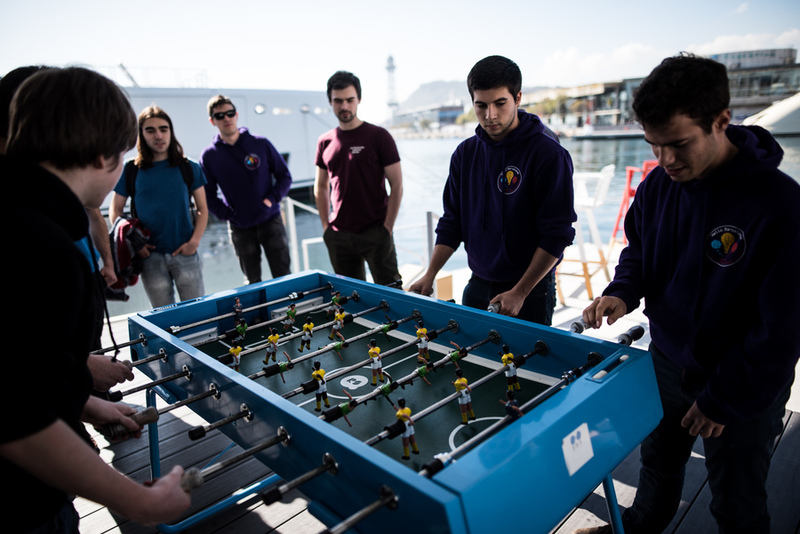 The Elimination Round is online and takes place on January 15, 17:05 (UTC). Elimination Round follows regular Codeforces rules and consists of 7-8 problems. For this round, the complexity of the problems will be comparable to a regular Codeforces round. There are no eligibility restrictions to participate in the round. The Final Round takes place on January 22, consists of 5-6 problems, and uses regular Codeforces rules. The complexity of the problems is higher than a regular Codeforces round. We will invite the top local finishers in Elimination Round to Woodside, CA to compete in the Final Round. 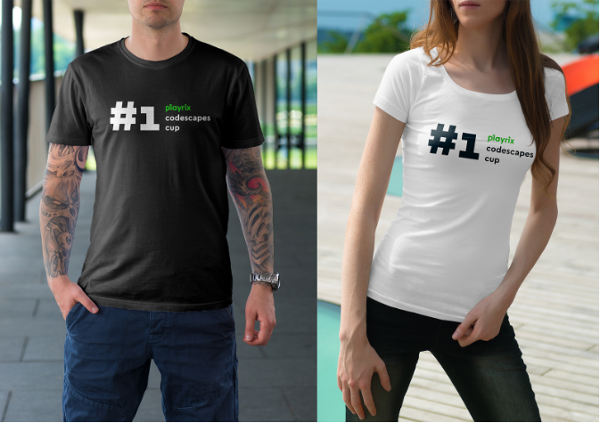 In addition, we will invite the top 200 overall finishers to compete online. Cool prizes are offered to winners and best participants. 8VC, which consists of Joe Lonsdale (co-founder of Palantir) and his core team from Formation | 8, is a Silicon Valley venture capital firm that invests in industry-transforming technology companies. The team's investment portfolio includes companies such as the selected companies below, and a host of other top technology platforms that leverage modern algorithms and data science to power their core business processes. At the request of Zlobober and other users I has implemented notifications on mentions. See the bell on the top of the page? So far there is only the basic functionality and it is incomplete. But let's start with it for now. Now notifications appear on mentions in comments only. For now it is impossible to disable it. We do not send anything on your email. Let's test it together and understand how to move forward with this functionality. What else will be thinking? 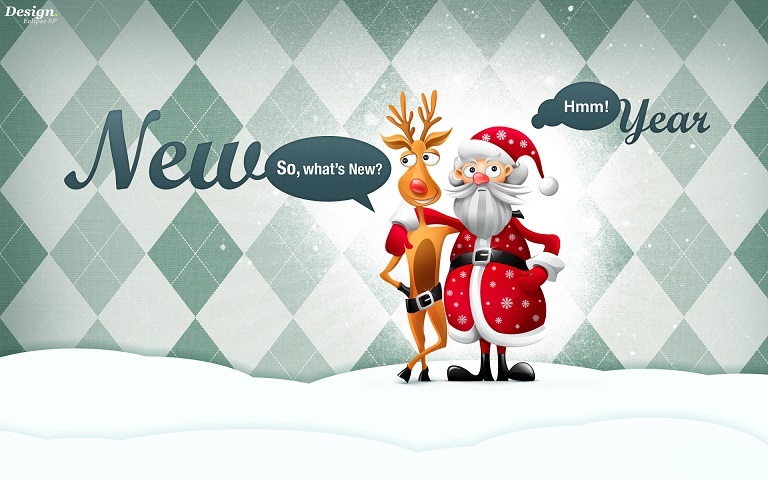 New year brings changes to the Codeforces team. As you probably know GlebsHP completed his work as the chief coordinator of Codeforces. Gleb, thanks a lot! You did an excellent job and coordinated a lot of interesting rounds. You're a professional, an interesting person, you have impeccable taste to problems, and you proved to be brilliant and talented writer. Thank you that you were with us! Hope to see your tasks on Codeforces many times again! Nikolay KAN Kalinin came to Gleb's place. 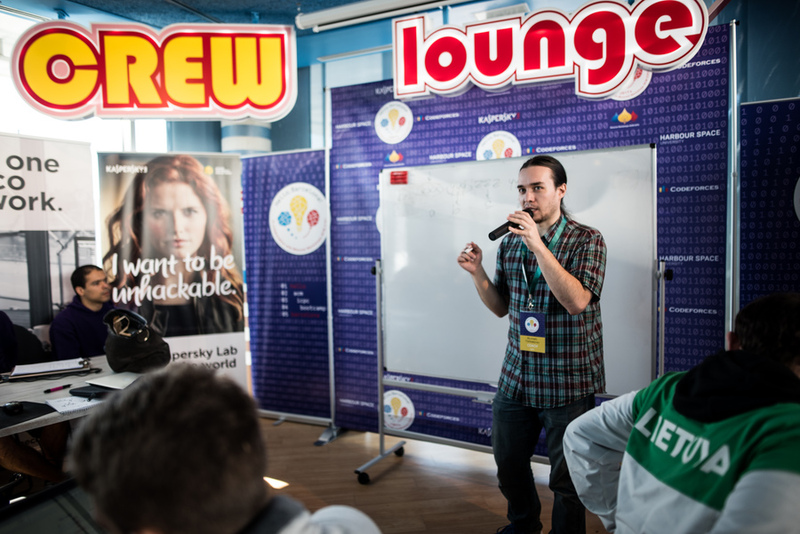 He is also an experienced participant, Nikolay has already held several rounds as a coordinator. KAN seriously engaged in programming contests since he was 12 years old. His major achievements: he won twice All-Russian School Team Olympiad; he won All-Russian School Olympiad (the 1st place! ); he has two Gold medals in International Olympiad in Informatics (IOI 2013, 2014), bronze medal in the ACM-ICPC World Finals 2016 and he took the third place at the RCC 2016. This is the highest level! I am very pleased that Nikolay has joined the Codeforces team. I am confident we will succeed! And here there is the first innovation of 2017 year. The idea to ​​organize work with proposals has swirled in my head for a long time. It turned out well: KAN visited Saratov to get acquainted with the whole Codeforces team and celebrate the New Year together. And we not only had a good time, but found some time to discuss details how we see our work with writers. Here's what happened. All the functionality described below is only available for experienced contestants and writers of past rounds. There are requirements on the number of rated contests depending on your color (magic does not work here, sorry). Please do not assume that the requirements are too strict. Our experience shows that it is hard to work with writers who are inexperienced as contestants . If you are a writer/jury member with experience in other competitions/events, please write KAN a private message about your wish to prepare a contest and describe your experience in this area. Be respectful to the coordinator decision, if it prompts you to achieve the general formal requirements prior to review your proposal. If a round is a part of a championship, there is an additional bonus, which is discussed separately. I dream to raise reward to writers. I dream to see the most experienced, the most creative and interesting writers give our users the opportunity to participate in their rounds on Codeforces! Codeforces rounds attract record number of participants from around the world (the next frontier is 10000 registrations! ), I personally offered a large number of problems — the chance to give an interest to participants is priceless. Please send us your problems, spend contest proposals! We can make a platform, we can build a process, we can host championships. But we can't invent and prepare problems on each round. Those who meet the requirements will find the special link “propose a contest/problems” in the personal menu in the right sidebar. Click on it and you will have the opportunity to offer a contest, add problems to it. Read all instructions carefully. Carefully prepare and submit your proposal for a contest and for problems. I think that user interface is simple and intuitive. Now, you can use only new system to submit proposals. If you have already received an answer from KAN for current proposal, you shouldn't transfer it to the new system. If the response has not been received yet and the proposal in actual, please, use the new system to send the proposal again. The discussion of your ideas will be in comments mostly. Perhaps at a later stage it will be a possibility to communicate with the coordinator through any messenger. Please be active, respond to coordinators' questions in time, make the proposed changes quickly. 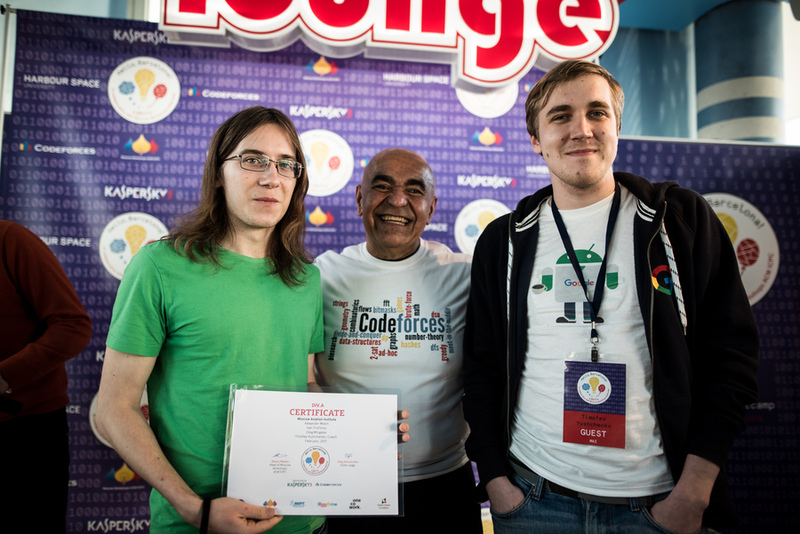 Remember that Codeforces coordinators are very experienced as participants and as reviewers . Their opinion is important, always balanced, and they have the highest priority in any decisions on the problems. When the work goes to the preparation of problems in Polygon, the pre-read the examples of well-prepared problems, read all articles about using testlib. It is not difficult, but once you understand, you will be able to prepare high-quality problems for any Olympiad! Later we come up with how to adapt the system for educational rounds (they come back! ), for educational problems. With the new system we will get rid of lost proposals and can significantly automate and organize the process of working with them. I am sure that the system will be upgraded in the future and will become more flexible, more comfortable, more functional. I hope that in 2017 we will host a lot of interesting rounds with your help. I hope you are waiting for them as well as I'm waiting! Somehow it turns out that for me, each coming the New Year means more and more. This is an excellent opportunity to take stock, to breathe fresh air and to go through a kind of catharsis. This is a rare opportunity to be with the family, dress up in Santa Claus and just have fun. Holidays give me a clear criterion that I do the right things. If during the holidays, I begin to think about it, to recall some deferred ideas, eager to implement something new. So I’m doing right things. My things. And now exactly the same as in several recent years: during New Year holidays I write code for Codeforces, trying new technology or simply I’m making minor changes in testlib. It is necessary to me: at this moment are no deadlines, do not press the obligation. Just now, at 3 am, I can not break away from being able to do something new. I would like to take a moment and realize that spun in my head the whole year. I'm insanely happy to huge number (9144!) of registrations on Good Bye 2016. Your desire to grow, to learn new things, solve problems and invent, improve skills and compete, all this things give me strength and desire to develop the platform. I wish you not to lose the fire in eyes, when you meet an interesting problem. I wish to continue to find pleasure in each contest or round. I wish to find, to solve more and more complicated and interesting problems. Victories and achievements! Wish you to solve all things which you didn’t solve in 2016! But you, please read this post entirely. It is important to me. It draws the symbolic line to me and the whole Codeforces team. And, of course, below it is written about change handles gift and a colorful masquerade of ranks. Go! Server time: Apr/23/2019 03:59:02 (e2).